ATLANTA - April 3, 2018 - PRLog -- CRH Healthcare (CRH), the parent company of Peachtree Immediate Care, and SmartCare Urgent Care are pleased to announce the merger of their two urgent care networks. This merger represents the consolidation of the two exclusive urgent care partners of the Emory Healthcare Network (EHN). The new combined urgent care network will total 25 Atlanta (and Athens, GA) area locations with three more scheduled to open later this year. 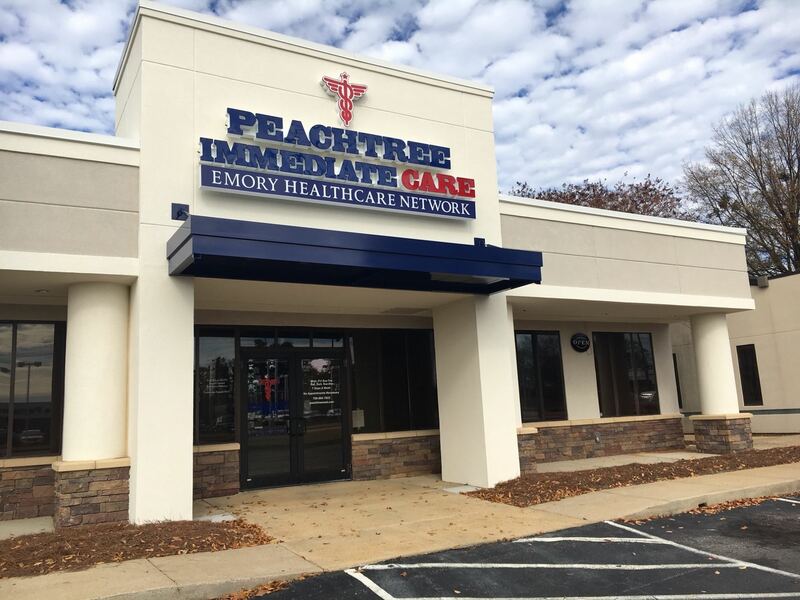 With the exception of Athens, all locations will operate under the co-branding of Peachtree Immediate Care and Emory Healthcare Network. As the largest network of urgent care centers in Atlanta and Georgia, the centers treat over two hundred and fifty thousand patients per year and are within a 15-minute drive of 60% of Metro Atlanta's 6.1 million residents. "We are delighted to be part of the Peachtree Immediate Care network," said Samir Bhatia, CEO and Founder of SmartCare Urgent Care. "It was important for us to merge with another company that values our staff, state of the art equipment, and a core focus on patient care." While the companies have taken different paths to growth in the Atlanta area, both have been focused on similar fundamentals of being convenient, caring, courteous, competent and compliant—the 5 Cs that make up CRH's vision statement. The Atlanta network of over 80 providers (including board certified physicians, nurse practitioners and physician assistants) are trained in family care, occupational health, and internal medicine and are supported by a staff of over 280 caring nurses, medical assistants and front desk associates. "We are excited to welcome the SmartCare staff to our family," said Bill Miller, the CEO and co-founder of CRH. "Having met the SmartCare leaders in 2012, we were always impressed with their operations and success. We are very excited to now have the opportunity to work with their team of highly qualified professionals and to consolidate the network of urgent care centers serving the expansive Emory Healthcare Network. We look forward to serving the Metro Atlanta area, Athens and their surrounding communities as a new combined team." Finally, Patrick Hammond, CEO of the Emory Healthcare Network, was very supportive of the strategy and merger. He said, "Both partners have provided patients with convenient care solutions and access to Emory's extensive network of over 2,000 physicians and 70 specialties throughout Atlanta. It makes sense for their complementary geographic locations to now work together toward the same goals. We are excited to continue growing the relationship with the combined company to improve quality outcomes and manage costs efficiently." CRH Healthcare (CRH) was founded in 2012 to build a consumer- and quality-focused urgent care center industry leader through both acquisitions and de novo development. Everything the company does is focused on what it calls "The 5 Cs"—being Convenient, Caring, Courteous, Competent, and Compliant. With operations in Georgia, Florida, and Alabama, CRH is well positioned in the Southeast to help patients Get in. Get out. Get Better!™ CRH was recently named Atlanta's fastest growing private healthcare company for the second year in a row by the Atlanta Business Chronicle and as the nation's fastest growing urgent care company according to Inc Magazine's annual Inc 500 list (#217 overall). CRH Healthcare is a proud member of the Urgent Care Association of America. For more information about Peachtree Immediate Care or CRH, please visit peachtreemed.com or crhhealthcare.com. SmartCare Urgent Care is physician owned and operated. At SmartCare, we are committed to placing the needs of our patients first by providing the highest standard of illness, injury and wellness care. No appointments are necessary at our modern, state of the art facilities in Atlanta Metro and surrounding areas, where we create a comfortable and convenient alternative to traditional emergency room and doctor's office. SmartCare offers extended hours and courteous, experienced staff to get you on your way to feeling better fast. Above All, our mission is to provide you with "affordable care at your convenience". To learn more about us, please visit our website at www.smartcareuc.com. Established in 2011, the Emory Healthcare Network (EHN) is a clinically integrated network of Emory faculty, private practice physicians and hospitals formed to improve care coordination and quality outcomes, as well as control costs for patients and the community. EHN members collaborate around a common set of quality measures and goals. With seven hospitals, more than 300 provider locations, and 2,000 physicians in more than 70 specialties, including 240 primary care physicians, EHN is Georgia's most comprehensive integrated network.